Hummus is a perfect party snack or finger food – if only it weren’t made out of chickpeas! 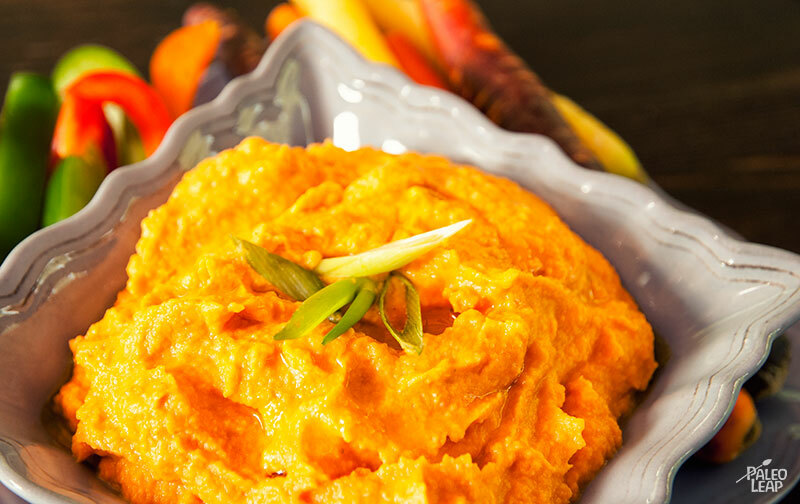 Here though, you can get that creamy, dip-friendly texture without any legumes at all: just use mashed sweet potatoes as the base of the hummus in place of the chickpeas. To make the mashed potatoes, first bring a big pot of water to boil. Throw in the potatoes and cook until they’re soft (typically this takes 20-30 minutes, depending on the size of your potatoes). If you’re impatient, you can cut them up so they cook faster. Then just toss them in a blender or haul out your potato masher and have at ‘em until they’re smooth. 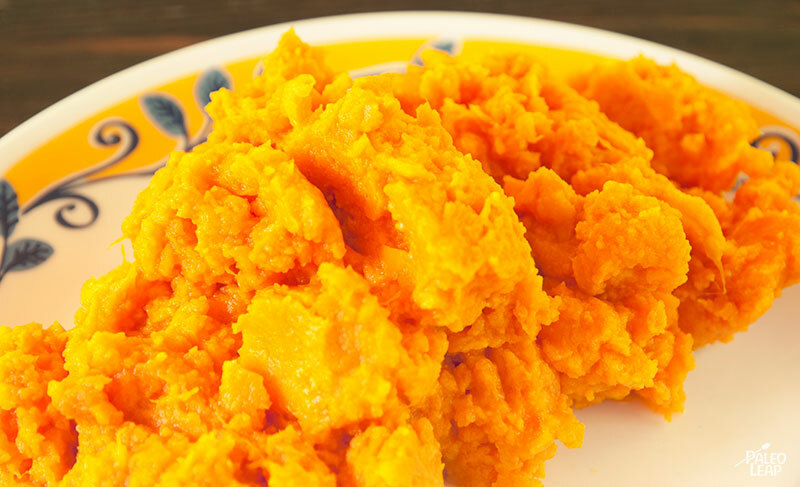 Unless your potatoes are unusually huge or tiny, you can usually count on 1-2 sweet potatoes per cup of mash. To cook the sweet potatoes, peel them off and cut the flesh into large chunks. Bring a pot of salted water to a boil and add in the sweet potato chunks. Let it simmer for about 7 to 10 minutes, until the flesh is very tender when pricked with a fork. Drain, place the cooked sweet potato in a bowl and mash with a fork or potato masher. Place in the refrigerator to cool. Spread the sesame seeds on a shallow baking tray and roast, shaking frequently, until fragrant (about 8 minutes). To prepare the tahini, combine the roasted sesame seeds with the olive oil in a food processor and process until the mixture turns into a smooth paste (about 5 minutes). In a large bowl, combine the mashed sweet potatoes, tahini, lime juice, garlic, cumin, and cayenne. Mix everything well and season to taste.